Hello there, today I have the card I made for my Nan for her 92nd Birthday to share with you. 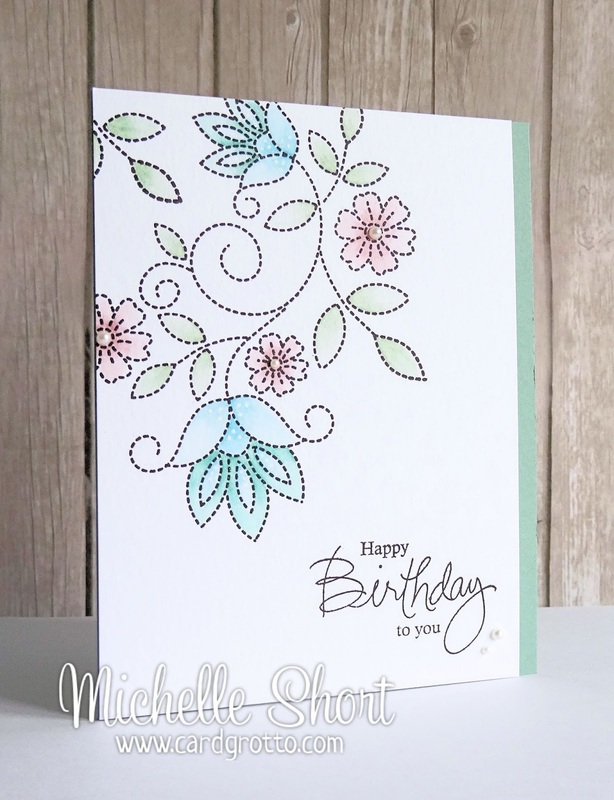 She loves the colour green so I busted out my PTI Stitches & Swirls stamp set and coloured it in with Distress Markers in various shades of green, blue and pink. Although it is difficult to see in the photo, I finished it off with some accents of WOS and a white Sakura pen.